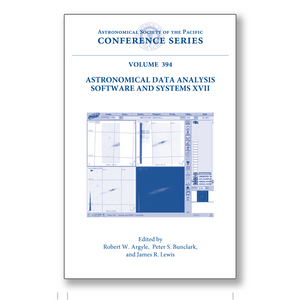 This volume of the ASP Conference Series contains presentations that were given at the 17th annual conference on Astronomical Data Analysis Software and Systems (ADASS XVII), which was held on 23-26 September 2007 at the Kensington Town Hall, London, UK. A number of key topics are chosen by the Programme Organising Committe each year for special emphasis according to their timeliness and to aid in the selection of invited speakers. This year these included Data Preservation, Footprints and Mosaics, High Energy Physics Computing, Algorithms and Image Processing, and Data Mining and Visualisation. The Programme of oral presentations consisted of 13 invited speakers with another 38 speakers contributing smaller talks. The programme also contained a set of more than 150 informal presentations in the form of posters. The standard format of ADASS also includes a number of less structured yearly events which focus on topics of special interest. The first of these are the large group Birds of a Feather discussion sessions. Four of these took place in the late afternoon or early evening after the day's oral programme. Three Focus Demonstrations allowed speakers to display new software and facilities to a large audience, while fourteen Floor Demonstrations addressed very small groups. It has become tradition within ADASS to use the Sunday before the formal beginning of the conference as something of a training day. This year we were fortunate enough to have two very high quality tutorial sessions on the subjects of 3D Visualisation and Data Mining.